INF368 Mahogany Entry Reminiscent Victorian Era Custom Glass Design. 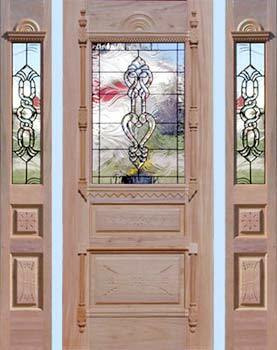 "INF368" MAHOGANY ENTRY REMINISCENT OF THE VICTORIAN ERA WITH LEADED GLASS WINDOWS CUSTOM GLASS DESIGN. All units are sold separately. You buy only what you need.